Lots to cover! The BaconBits group buy needs just a few more backers to close so if you’ve been on the fence, now is your chance. A few new campaigns have emerged to keep your hardware hacking humming and interactive. Last but certainly not least, our latest PureThermal boards are now available at Digi-Key! This one is a no-brainer. 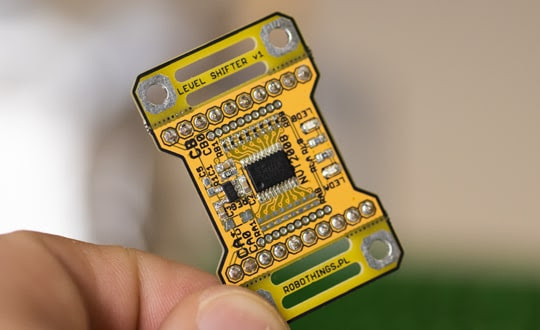 As of this writing, just 8 more units to fund this PocketBeagle mini-cape with loads of educational impact. Learn embedded Linux using open source hardware, software, and instructional resources. 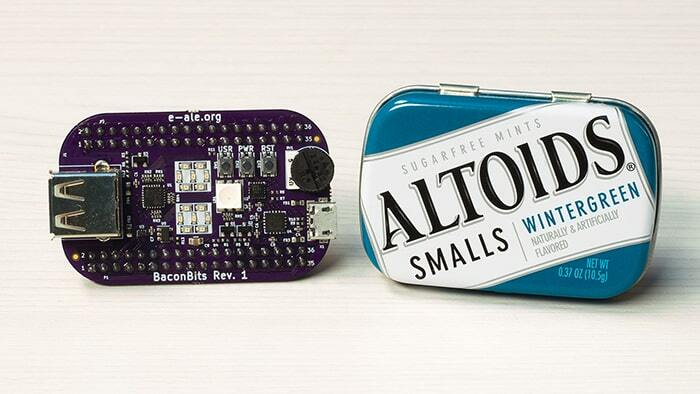 Don’t let its small size fool you, the PocketBeagle with BaconBits is a very capable Linux computer built on the Octavo Systems OSD3358 1 GHz ARM Cortex-A8. BaconBits give you real-world embedded peripherals to interface to from a PocketBeagle such as a 7-segment display, RGB LED, and, I2C accelerometer, and UI elements. How many time have you tried to touch-control a display only to be disappointed that it was a boring touch-less display? It might as well show the Google Chrome T-Rex as you sigh in frustration. Don’t create those types of experiences for your users or for yourself. Back the Nextion TFT HMI Touch Display and tack it to your MCU’s UART to give your application a simple and low-cost touch interface-lift. Voltage level shifting seems and sounds easy but there a million ways to get it wrong. The RT-NVT2008 is a flexible and vetted solution to cover 5V to 3.3V or 1.8 translation and vice versa depending on how you configure it. 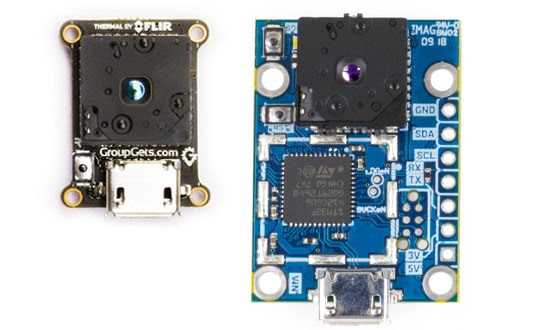 The board has an on-board regulator that you can also use to power external sensors. Not going to lie, Digi-Key is a daily go-to for us to get parts for our internal electronics prototyping, our funded campaign creator's BoM’s, and even our production builds. That said, we are elated to announce that our very own PureThermal 2 and PTmini have found a spot in Digi-Key’s massive and usually in-stock catalog. While you can still buy them directly from the GroupGets store, we kindly invite you to add them to your next cart at Digi-Key! We know, it’s not electronic (and we’re going to hear about it) but this gorgeous handmade Ponderosa Butcher Block is designed by a local Reno artist, DeLaveaga Designs, that we commissioned to create some custom furniture and signage for our new office space. 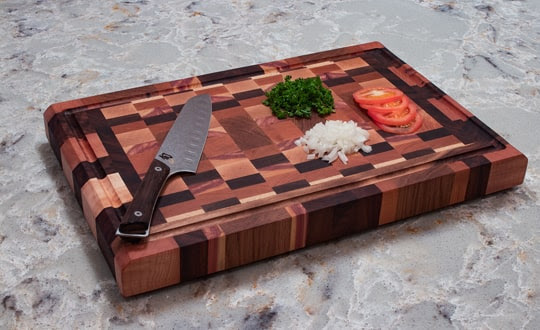 Pro making doesn’t need to be confined to hardware - take some time to make yourself, friends, and family a pro meal on this chopping board! It’s no secret that the SiFive FE310 RISC-V low-power MCU has been updated. 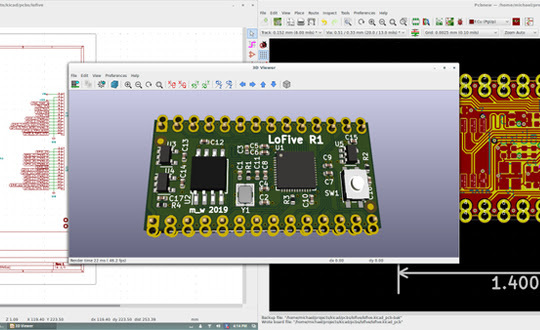 Never one to rest on his laurels, @QwertyEmbedded is updating the LoFive eval kit to take advantage of the new SiFive silicon. Expect to see a campaign launch this April on GroupGets!